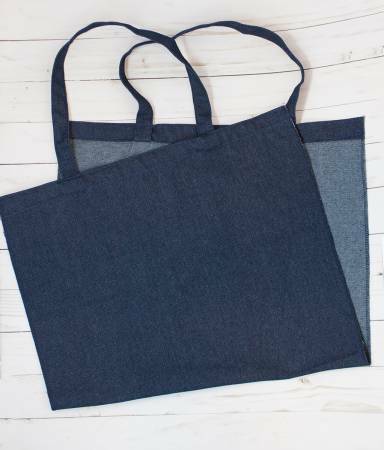 Kimberbell's blank denim totes come without the side seams sewn up to it's easy to hoop the bag itself, then add the adorable embroidery. The edges are serged too, so the bag won't fray when you finish the side seams with a simple straight stitch. Size: 17 x 15in with 21in handles.